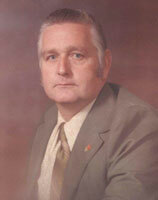 Arthur E. Gaskill, 83, of Lancaster, passed away Saturday, December 29, 2012 at Hospice and Community Care, Lancaster. Born in Washington, D.C., he was the son of the late Roy S. and Golden Wright Gaskill of Cape May Courthouse, NJ. He was the husband of the late Esther Mann Gaskill who died in July of 2011. Arthur attended Middle Township High School, NJ. He was a self-employed plumber for over 30 years. He was a life member and former Chief of the Lafayette Fire Company. He enjoyed hunting, especially in Maine, fishing, and spending time with his grandchildren. Surviving are: 3 sons, Kenneth husband of Terri Strubel Gaskill of Denver, Keith husband Ruth Ann Shaw Gaskill of Quarryville, Kyle husband Lisa Schmeck Gaskill of Ephrata; 5 grandchildren; 4 great-grandchildren; a brother, John Edward husband of Rebecca Gaskill of Mays Landing, NJ. He was preceded in death by a granddaughter-in-law, Cori S. Gaskill, and a great-granddaughter, Anna Mae Glatfelter. Funeral Services will be held from the Kearney A. Snyder Funeral Home 141 E. Orange St. Lancaster on Wednesday, January 2, 2012 at 11 AM with interment following in Creswell Cemetery. The family will visit with friends on Wednesday from 10 to 11 AM at the funeral home. Kindly omit flowers. Contributions may be sent to Hospice and Community Care P. O. Box 4125 Lancaster, PA 17604-4125.
your family. Surely he will be missed. I am so sorry to hear about your Dad’s passing. My thoughts and prayers are with you.